How long has it been since your last date night? If your answer is, "Too long," or, "I can't remember," then it's time to hire a babysitter, clear the calendar, and get a date night on the books. Don't just go with the old standby of dinner and a movie, though. Make this date night unique. Make it something special. Go the extra mile and plan a date night that will be memorable for you and your special someone. Not sure how to plan a memorable date night? 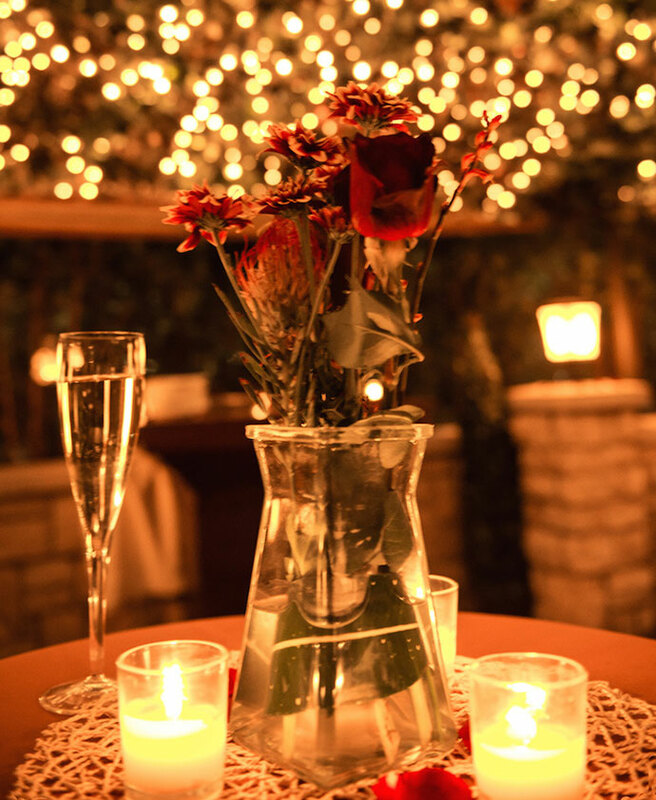 Below are nine tips to add a little something extra to your evening out. Go on a tour of your relationship. Take a trip down memory lane and visit all the hotspots from your relationship. Visit the restaurant you went to on your first date. Drive by the first house or apartment where you lived together, and maybe even visit your favorite bar or coffee shop in the old neighborhood. If you're married, swing by the spot where you got engaged or walk by the location where you held the ceremony. As you visit these spots, talk about your past and your plans for the future. Want to preserve the memories for posterity? Ask a photographer to meet you at some of the locations to snap some pictures. Get a car and driver. Maybe you both want to cut loose and enjoy yourselves with a late night out. Of course, that might be difficult if one of you has to be the responsible driver. Instead, hire a car service to pick you up and drive you around for the evening. That way, you can both enjoy yourselves without worrying about who will drive home. Even better, you'll get to ride in style in between stops. Ask your driver to stock your favorite beverages and play some music. Your spouse or special someone will love having a luxurious ride for the evening. Start it off with a spa day. Who says date night can only happen in the evening? Before your big night out, schedule some relaxation time at a local spa. Get a couples massage and maybe some skin treatments. You'll leave the spa refreshed and ready to hit the town. When's the last time you had a vacation together? If it hasn’t been since your honeymoon, don't worry, you're not alone. Many married couples with kids have trouble scheduling date night, let alone getting out of town together. Use this date night to finally plan that second honeymoon. Each of you bring a list of ideas and possible destinations.Talk about the sights you want to see and what kind of vacation you’d like to enjoy together. Talking about and planning a trip away should elevate the romance and give you both something to look forward to. Has your spouse been stressed out lately with work, kids, or other commitments? Want to help them forget about their troubles and enjoy an evening out? Make your date night a surprise. All you have to do is tell your spouse that you’ve made plans and what time they need to be ready. When the car pulls in the driveway to pick you up, your special someone will likely be thrilled. Make the effort to surprise them. You’ll give them a memory to last a lifetime. Keep the devices turned off. Remember the good old days when you actually had to talk to each other during a date? Now a quick glance at a cell phone can turn into a prolonged silence while each person stares at their device. That’s no way to spend your romantic night out. Instead, make a promise to each other to keep the cell phones turned off, or better yet, in the car. Make a commitment to only check them once or twice for emergencies. Otherwise, go device-free. Rather than scrolling through Facebook, you can reconnect with actual, real conversation. Sometimes it’s easier to express your feelings in writing rather than face-to-face. Want to share a special message with your partner? Exchange letters or notes with them before your big night out. Share your feelings and your hopes for the future. There's nothing saying you have to exchange them, either. Instead, you could surprise him or her with a letter just from you. That will set the tone for the evening and reinforce the strong feelings you have for each other. The night doesn't have to end when the clock strikes midnight. Take a mini-vacation to a hotel within easy driving distance for a fun, one-night trip. You can enjoy a wonderful dinner, hit up some nearby bars, and then stay the night in a nearby hotel. Downtown is always a popular option. However, West Chester also has some great hotels. You can have dinner at Jag's and then stick around to dance the night away to one of our amazing live bands. At the end of the night, head back to one of the nearby hotels for a relaxing evening in your room. Speaking of dancing, can you think of a funner way for the two of your to cut loose and reconnect? At Jag's we have live music 6 nights a week, and we have a large dance floor for you to show off your best moves. Come visit us for dinner, or swing by later in the evening for tasty drinks and fantastic live music. Jag's is the perfect spot for your next date night. Contact us today to make your reservation.